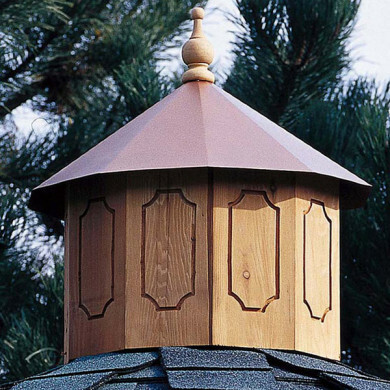 Crafted from select, tight-knot cedar, your new gazebo is resistant to weather decay and insect infestation; this way, you never have to worry about expensive maintenance and upkeep. 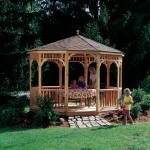 The Brighton gazebo is complimented by a 10-year top-to-bottom warranty. Whether you’re seeking a world-class venue for your next social event, or simply looking for a backyard haven of rest and relaxation, you’re search ends here. 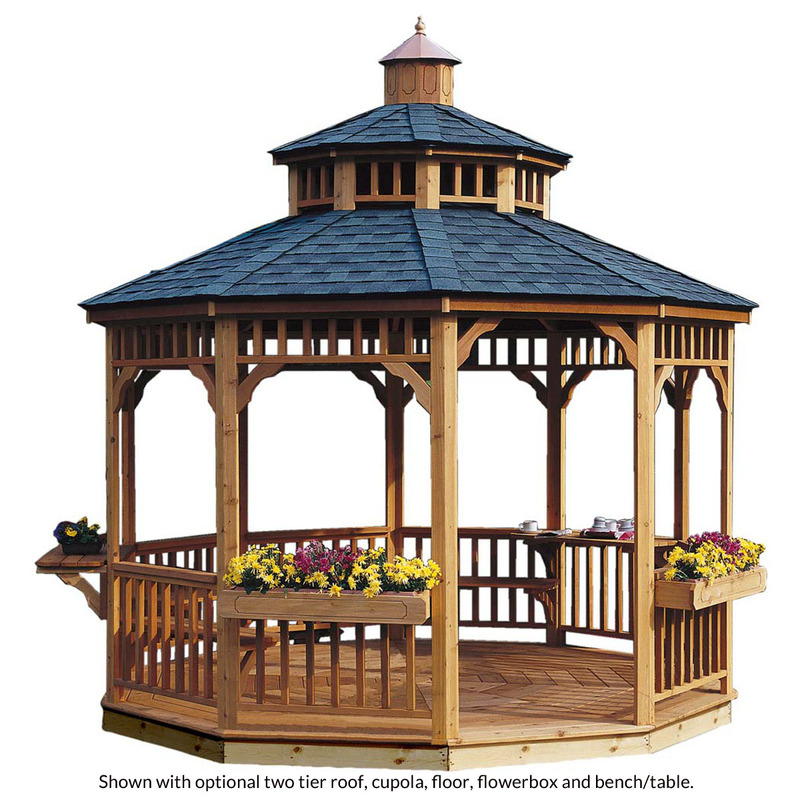 Customize the Brighton Gazebo to your heart’s content with classic cupolas, eye-catching flower boxes, state-of-the-art wooden benches, and delightful tables. 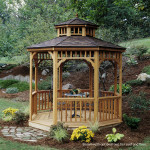 Add an unforgettable flair to your outdoor living space with the Brighton Wooden Gazebo. Perfect for romantic candlelit dinners, memorable family picnics, or relaxing moments under dappled sunshine and shade. You choose between 10' octagonal model, and 12' decagonal model; selecting the perfect size for your spatial requirements and vision. 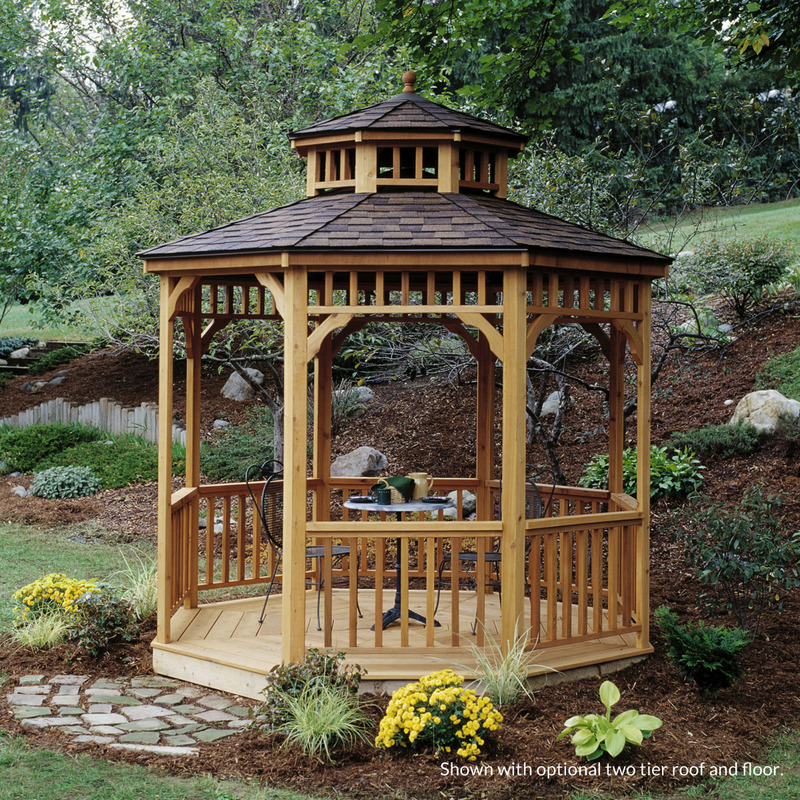 Crafted from select, tight-knot cedar, your new gazebo is resistant to weather decay and insect infestation; this way, you never have to worry about expensive maintenance and upkeep. Whether you’re seeking a world-class venue for your next social event, or simply looking for a backyard haven of rest and relaxation, you’re search ends here. The Brighton gives you the exquisite and stylish touch you deserve. 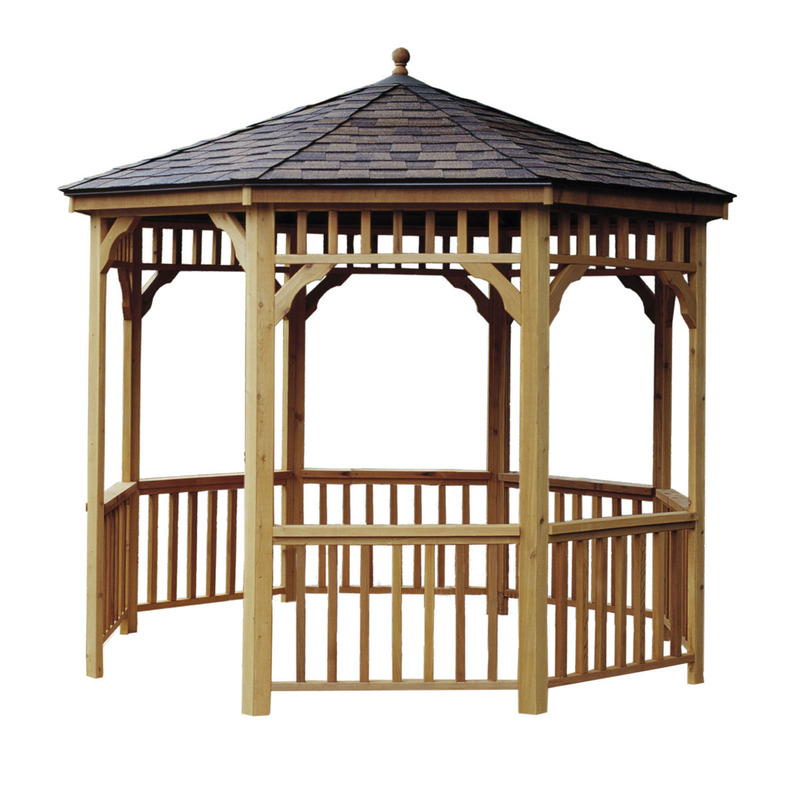 These customizable Brighton Wooden Gazebos are the perfect choice for your outdoor events; whether you’re longing for a romantic backyard getaway for candlelit suppers, planning an upcoming wedding or graduation, or simply want an idyllic home barbecue destination. With our state-of-the-art new take on an old-fashioned design, we give you a haven for fun, play, entertainment, or reflection. 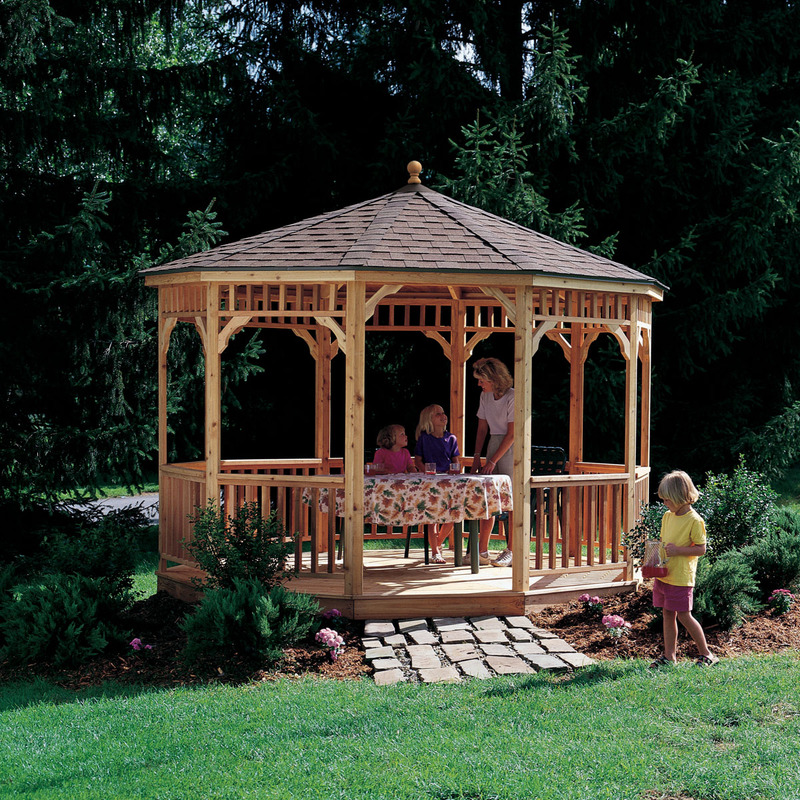 Even better, you can customize these Brighton Gazebos to your heart’s content with classic cupolas, eye-catching flowerboxes, state-of-the-art wooden benches, and delightful tables. Actual Interior Dimension 141" 113"
Door Opening Size (w x d) 44" x 82" 44" x 82"
Assembled Weight 803 Lbs. 551 Lbs. Cedar Lumber - 15 yrs. Cedar Lumber - 15 yrs. 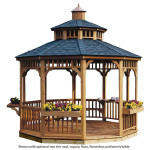 We will contact you within three business days after purchase to schedule a tentative gazebo installation date. 3ft. 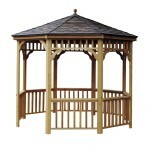 of clearance around your entire outdoor gazebo is required. Access to electricity is required within 150ft. 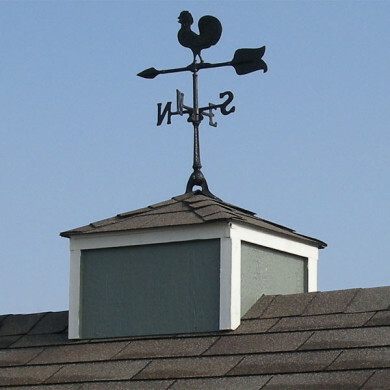 of your backyard install site. Prices do not include optional accessories, permits, zoning, excavating, slab, set back advice, out of level or delivery beyond 50 miles. We are happy with the product, however we would be remiss if we didn't offer this feedback: 1) it took three months from the time of ordering until it could get installed; 2) because of #1 above, it put construction off until bad weather set in, putting the warranty in jeopardy (we were forced to stain the building in adverse conditions or else, due to the time line specified; 3) I am concerned about direct wood-to-ground contact, and anchoring of the gazebo with regard to high winds often experienced here. We were really happy with the person who came and installed our shed. He arrived on time and worked diligently until the job was complete. Very friendly and we were thrilled with the quality of his work.